I can best be described as a compassionate person, with big and kind heart, loyal sometimes to a fault, with a great respect for the world we live - including people, animals, nature and the environment. I strive to balance my left brain analytical side that I apply daily in my professional life as a business consultant with the right brain creative side that includes my passions of writing, photography and travel. I also strive to explore and expand my spirituality, and to connect better to this delicate world, and to be a steward of our natural resources. My passion and compassion also drive me to represent those that cannot represent themselves, those that cannot speak, but those that have every right to live and thrive on this earth. BIG CAT PUBLIC SAFETY ACT – H.R. 3546 – IT IS TIME!! On September 17, 2015, H.R. 3546, a bill entitled The Big Cat Public Safety Act was formally introduced in the United States House of Representatives. This bill, issued in previous sessions, has steadily picked up steam and will finally put an end to back yard breeding and exploitation of big cats and their cubs in America! Your voice will be heard; and it is as easy as clicking a few links and filling out your name and address. Just click the link below and follow the instructions. We can make a difference. We can do this. And if you are motivated to take the next step, pick up the phone and call your congressional representative and ask them to champion this bill. Write a personal letter. Share this bill with your friends. We owe this to those that do not have a voice. 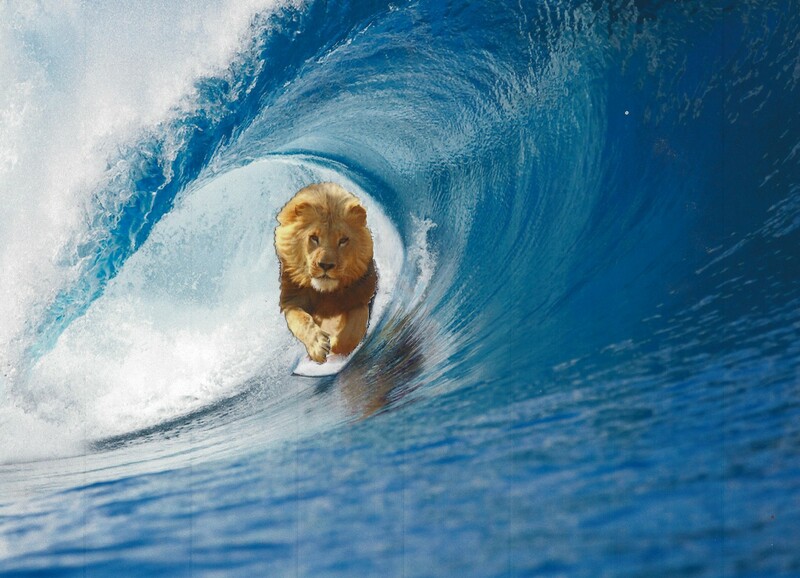 Do it for Cecil. Do it for all the Big Cats and do it for all wildlife. Below is the link to the actual bill, should you wish to read it. It is simply right and it is time. Let’s take an easy quiz. Of the twelve animals below, can you name at least ten that you have either seen in your lifetime, or at least have some familiarity? Pretty simple, right? In fact, I would be surprised if you named any fewer than all twelve. 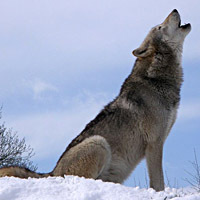 But had it not been for the passage of the Endangered Species Act (16 U.S.C. §1531 et seq. 1973), most, if not all of these animals would probably have become extinct years ago? 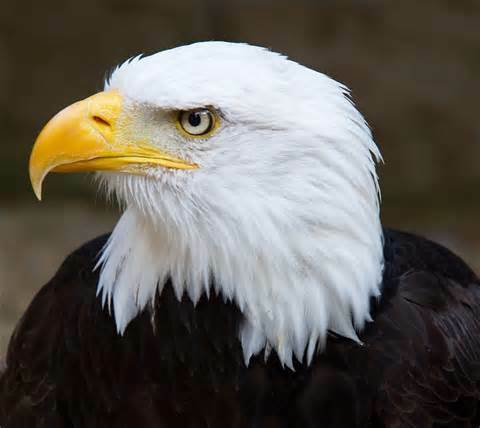 Yet imagine the United States of America proudly touting the extinct bald eagle as the national bird. Imagine Florida’s state marine animal – the Florida Manatee, and Florida’s state animal – the Florida Panther – gone forever. 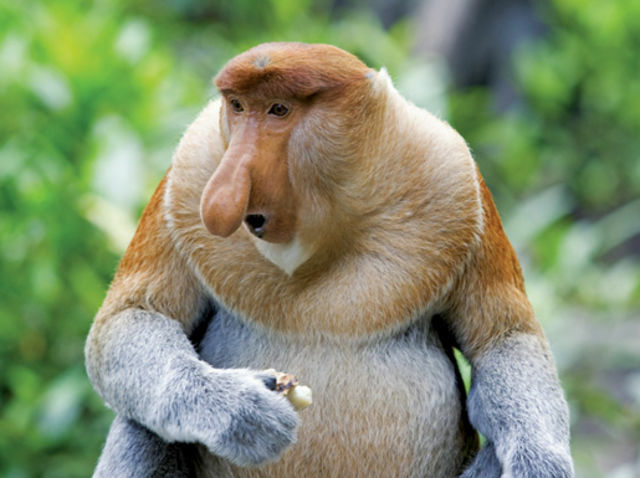 Imagine the world without the comical and human-like face of the Probiscus monkey. Imagine Santa Claus no longer able to rely upon reindeer transportation. A little humor, but unfortunately; the ESA itself has been under attack. And if certain people have their way, the Act itself could actually disappear. Unfortunately, the propagandists are attacking the Endangered Species Act with misleading data, suggesting the Act has been a failure; when that is simply incorrect. Recently, a U.S. Senator responded to a proponent of the Endangered Species Act, and commented that the ESA has had only had a 1% success rate. And based upon that number, who would argue that the ESA has been a failure of epic proportions? However, that particular statistic was extracted from a radio interview that occurred a few years ago; and as such, was grossly taken out of context. This said, it is deeply concerning that a U.S. Senator might base an opinion; or even worse, base a legislative vote on an oft-handed comment, without researching the source or to understand the basis behind it. And when referenced as a stand-alone quote, this might lead the reader to conclude that the ESA should just be repealed entirely, and allow those animals on the endangered list to just fend for themselves. And of course, leaving humans to govern themselves in these matters would essentially be the same as designating the fox to guard the hen house. The resulting carnage and decimation would be of epic proportions. These animals simply would not have a chance of survival without the Endangered Species Act. And although this may not be an overwhelming vote of confidence for the ESA, this at least defines what the 1% actually represents, and emphasizes a need to make this work. So, where does this 1% originate? This particular statistic was likely provided by the U.S. Fish and Wildlife Services. In a recent report, they identified 2,105 species as being endangered; and of those, a total of 28 species are deemed to be fully recovered and delisted. This equates to 1.3%. However, the argument of the ESA as a failure relies upon the assumption that delisting is the primary purpose of the Endangered Species Act. And emphatically, supporters of the Endangered Species Act optimistically state their hope and desire that these endangered or threatened animals will eventually re-populate through these protections so that they can be delisted. That said, the primary purpose of the ESA is to protect and ensure that those animals listed as either endangered or threatened do not become extinct. And for this reason, the Act has been of a great success. 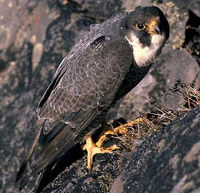 The Endangered Species Act “requires federal agencies, in consultation with the U.S. 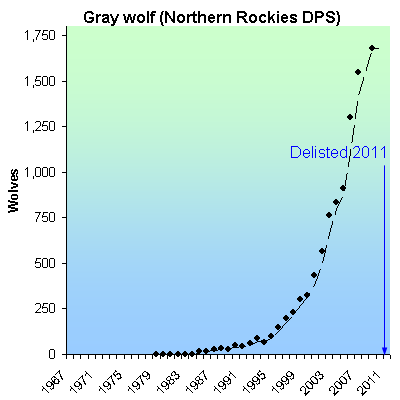 Fish and Wildlife Service and/or the NOAA Fisheries Service, to ensure that “actions they authorize, fund, or carry out are not likely to jeopardize the continued existence of any listed species or result in the destruction or adverse modification of designated critical habitat of such species”. 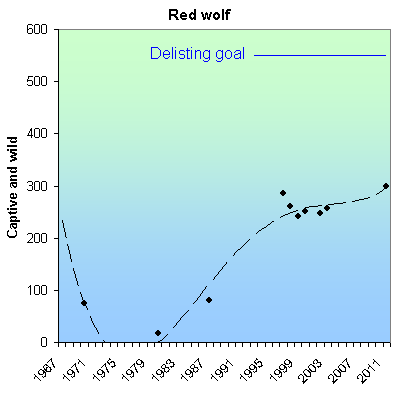 In celebration of Endangered Species Day 2012 (the 30-year mark of the ESA), the Center for Biological Diversity studied in detail the actual success of the ESA and published these results on the website http://www.esasuccess.org and in the report On Time, On Target: How the Endangered Species Act Is Saving America’s Wildlife. This report can be read in its entirety via the following link: http://www.esasuccess.org/pdfs/110_REPORT.pdf; and it offers a stark contrast to those detractors suggesting the ESA has failed. 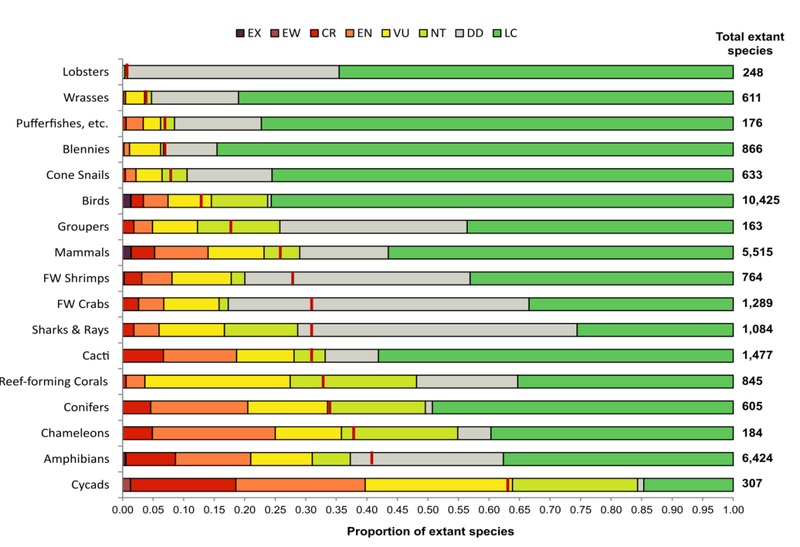 Their study focused on the actual recovery rate of 110 different species, which represented a range over all 50 states, included all major taxonomic groups and a diversity of listing lengths. Of these species, they determined that 90 percent of the species were recovering at the rate specified by their federal recovery plan. They also determined that it takes an average of 25 years for a species to fully recover and that 80% of the species have not even been listed long enough to warrant an expectation of recovery. Their analysis also concluded that the average age of listing was 32 years while recovery plans require approximately 46 years of listing. In fact, the study’s findings were similar to a 2006 analysis of North American species which found that 93% of the species were either stabilized or improving since placed on the endangered species list, and 82% of those were on pace to meet recovery goals. So, few would argue that these figures represent anything less than a high degree of success. However, some would want you to believe that an endangered species should miraculously recover to sustainable levels the next day or next week after being placed on the endangered species list. Those could be accused of either living in a bizarre world of delusion; or perhaps they simply wish to use an unreasonable time-table in an effort to undermine the ESA. Yet, one desiring to lose weight doesn’t suddenly drop 100 pounds in a single week. A person desiring to retire at age 65 doesn’t suddenly start to save at age 64 and realistically think he or she will save enough money in one year to retire. One doesn’t plant a seed in the ground and expect a flower to blossom the following day. Most of the species on the endangered species list have experienced a decline in population measured in decades. 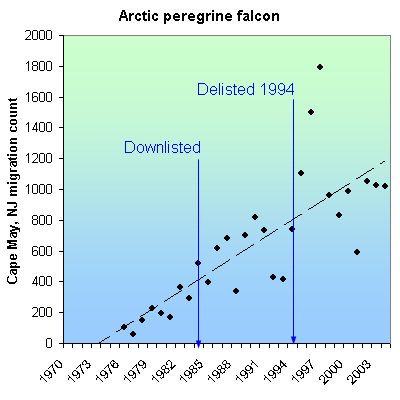 Why would we expect a recovery of an endangered species to defy logic and happen overnight. Obviously, misleading information such as “the 1% success rate” of the Endangered Species Act doesn’t help. 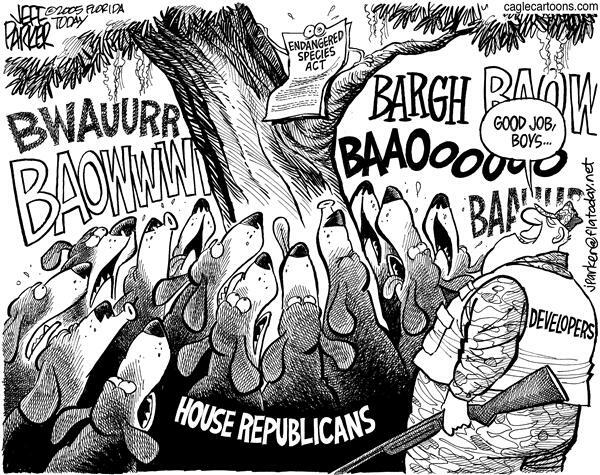 And frankly, the drive to dismantle or overhaul the ESA is primarily driven by Republicans who believe that (1) State’s rights dictate that the states and not the federal government should have the primary role in the protection (or lack thereof) of these species; and (2), the Endangered Species Act harms economic growth through development restrictions. And those points do have some validity worthy of debate. However, never in that debate would there exist legitimate justifications to simply repeal the Endangered Species Act. But unfortunately as with so many other animal rights issues, the battle almost always comes down to man versus animal. And because the animal doesn’t have the deep pockets to influence legislation, and does not have a voice to argue for his rights, the animal often ends up on the losing end. Thankfully, there are many groups that exist to serve as the animal voice. However, I do find it rather humorous that those critical of the ESA also base this criticism on the fact that millions of taxpayer dollars must be spent annually to defend the Act. However, the blame is often directed at the animal welfare groups because they are the ones forced to litigate, just to ensure the Federal Government actually upholds the very act they passed 40 years ago. One might argue that if the federal government actually upheld the ESA legislation rather than cater to special interests, the animal welfare groups would not be forced to serve as the government’s deputy enforcer. In other words, they are blaming the effect and not the cause. The simple answer is No. Regardless of its critics, the original analysis provided by the U.S. Fish and Wildlife Services referenced earlier in this article included 2,105 endangered species. Of that total, only 10 species have actually become extinct over its history. This equates to a 99.52% success rate. Can it be improved? It would be rare to find a piece of legislation that could not be tweaked or improved; particularly one that has existed for 42 years. However, I have always been a proponent of properly enforcing existing legislation before completely gutting, re-writing or re-crafting new laws. And the reality is that those who criticize the ESA and argue it as a failure secretly probably prefer it to not exist at all. Most importantly, the Endangered Species Act needs to stay the course. Those supporting the act need to continue to tout its successes because there are many. Fortunately, many of the animals mentioned in this article have flourished under the Endangered Species Act; a number of species have been delisted from the Act; and given time, others may be eventually removed. Unfortunately, many other animals are considered to be somewhere in the range of “Near Threatened” to “Wild Extinct”. 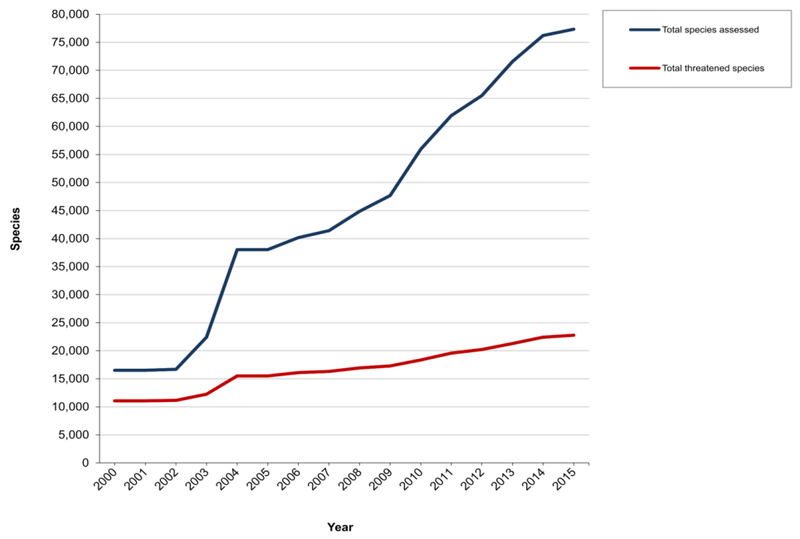 The International Union of Nature (IUCN) maintains the Red List of Endangered Species worldwide (http://www.iucnredlist.org/); and as noted on the chart below, of the 77,000 or so species analyzed by The International Union of Nature (IUCN), nearly 23,000 of these, or 30% fall in these categories. So, our work is far from done. Educate and Communicate. Those in favor of dismantling or substantially gutting the Environmental Species Act will continue to use the meritless, misleading 1% success rate number. And unfortunately, many people will simply accept this figure as fact. However, numerous sources regarding the ESA have been referenced in this article to further educate the reader, and I encourage anyone to read up on the act itself and to better understand it’s importance. Unfortunately, so few people fail to recognize the long-term environmental impact resulting in the loss of any animal or plant life. But think about a chain supporting a swing set. What happens if one of those chain links break? The entire swing comes crashing to the ground. Our ecosystem is no different. Eliminate an apex predator such as the lion or tiger and suddenly you have a mass overpopulation of deer and antelope. Eliminate the honey bee and almonds and other fruits depending upon their pollination suddenly disappear…not to mention honey. Understand the Endangered Species Act, because while those mammals, insects and plants are the direct beneficiaries of the protections provided by the ESA, we will all ultimately suffer from their loss. Write your state and local representatives. Project your voice on social media. Get the word out. The Endangered Species Act has a 99% success rate, and that is the story that needs to be told. As discussed in my recent article “The Big Cat and Public Safety Protection Act”, I referenced the fact that there were no less than 41 countries that had established either full or partial bans of the use of exotic animals in circus acts. (www.stopcircussuffering.com) Yet the United States Congress has failed to push through similar legislation; although certainly not for a lack of effort. 2. The severe confinement, lack of free exercise and the restriction of natural behaviors, animals are prone to health, behavioral, and psychological problems. 4. The welfare of the animals subject to the conditions in a traveling circus (constant travel, limited facilities, long periods of restricted movement, and physical coercion) will inevitably be compromised, which can lead to increase risks to public safety. 10. Restricting the use of exotic and non-domesticated animals in circuses is the most cost-effective and efficient way to safeguard both animal welfare and public safety. This bill was again introduced in the 113th Congress as H.R. 4525 and as of December 11, 2014 had garnered the support of a total of 31 co-sponsors…30 Democrats and 1 Republican; but had yet to move from the House Sub-Committee on Agriculture to the floor of the House for further debate. The question of course is why? This bill is 5 pages long, contains no earmarks, no hidden agendas, and no legal ease. It is straight forward in its wording and requires no legal counsel to understand the intention of the bill. And few would disagree with the rationale referenced in the ten points above. The logical answer might be that Congress was focused on broader issues such as domestic policy and international affairs, and simply have not had the time to seriously consider this bill. And there are certainly domestic and world issues that will keep any of us up at night. However, sub-committees are formed is so that all 435 House members and 100 Senators need not be immediately concerned with every piece of introduced legislation. The sub-committees vet those specifically assigned bills, then determine which ones are selected for further discussion before presented before the full body of the House or Senate for further debate. Or perhaps it is because the members of the Agricultural sub-committee were paying attention to the desires of their constituents and were simply abiding by the wish of the people. However, according to OpenCongress.org, there were 72 letters submitted by the respective constituents, and of those, only 7 were against this bill. For those mathematically challenged, that would be 90% in favor of this legislation and 10% against. Perhaps, it is in the fact that Republications outnumber Democrats on the Agricultural Sub-Committee 26 to 19; and the Republicans tend to be proponents of smaller government; and may view this as a state issue rather than a federal issue. And of course, state and local government do have the authority to pass similar restrictive legislation in their respective jurisdictions. 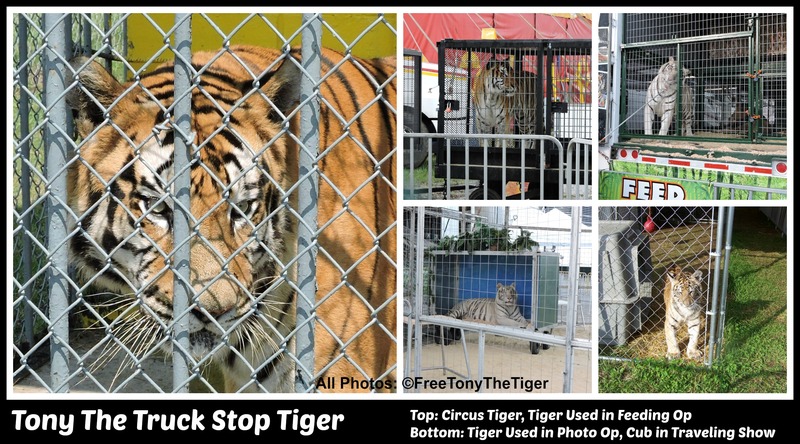 And for the record, according to http://www.bornfreeusa.org, a total of 46 state and local jurisdictions have indeed established local restrictions concerning traveling shows and circuses. However, the most likely culprit is in that fact that campaign contributions and lobbying have a significant impact and influence on legislative matters. If they didn’t, then campaign reform would never be debated, and lobbyists would not exist. According to Influence Explorer, an organization that collects data from reputable and independent organizations such as Center For Responsive Politics, the National Institute on Money in State Politics, Taxpayers for Common Sense, the Project on Government Oversight and USA Spending.gov, one of the better known traveling circuses has contributed in excess of $600,000 to various Congressional representatives, excluding addition contributions made to various Political Action Committees. This organization has also spent $2,110,000 on lobbying efforts. This should not be construed as a criticism of the lobby profession, as lobbyists are necessary to educate legislators as to the nuances of various pieces of legislation, its purpose, its benefit, etc. Nevertheless, lobbyists are also advocates of their client. Therefore, the “spin” will always be to the benefit of the party paying the lobbyist(s). So, of course, the lobby advocating on behalf of the circus industry will naturally present evidence and arguments in an attempt to compel the legislators to vote against this bill. The reality is that this is the nature of the beast of American politics; good or bad. So, the question is, do you believe campaign contributions and lobbying efforts influence a lawmaker’s decisions? And is there any surprise that the general trust of politicians remains at such low levels? 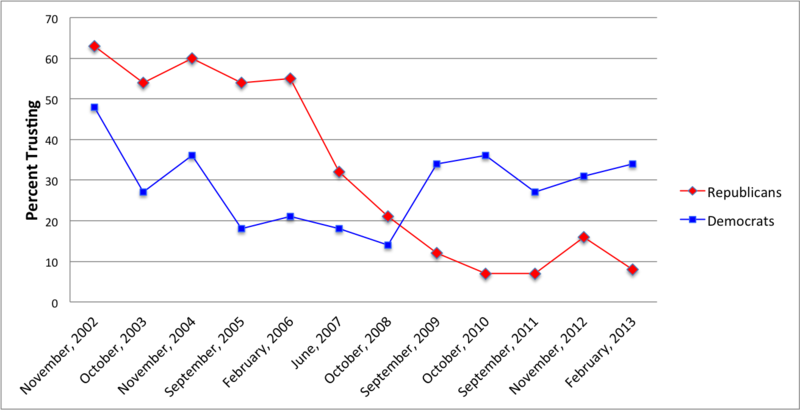 As noted below, the American National Election Study (ANES) polled Americans as to their trust in government. Those polled indicated only a 9% trust factor in their Republican leadership, while the Democrats fared slightly better with a 32% positive rating. So in essence, 91% of Americans don’t trust Republicans and 68% of Americans don’t trust Democrats. Not exactly a reassuring statistic. Political views aside, there are very few countries that offer the opportunities and the freedoms found in the United States. So, we must always try to strike that balance. We do not want an over-arching government that restricts its citizen’s rights. At the same time, trusting people to police and regulate themselves doesn’t work either. So, laws and lawmakers will always be necessary to ensure protections of the general public. 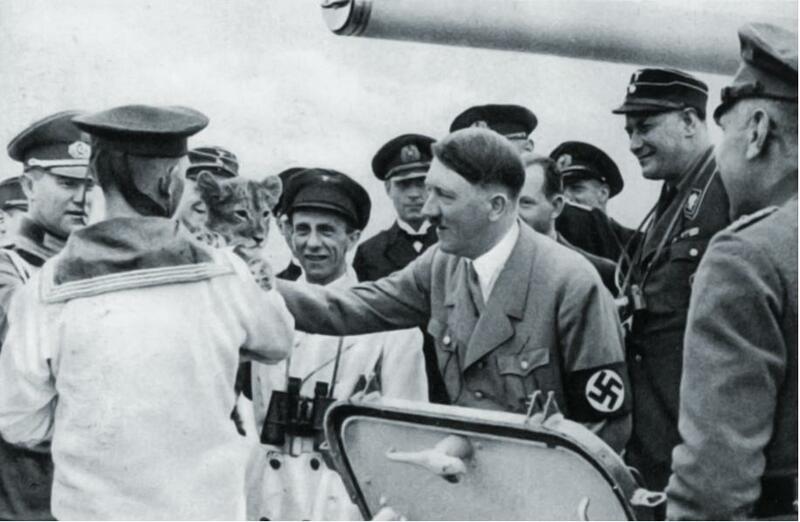 Unfortunately, our track record in animal protection is certainly not one many would be proud. And contrary to what many people believe about animal rights activists, these groups are not arguing that animals rights are superior to human rights, or even equal to that of humans. What they seek are assurances that the animal’s voice has some say so in the debate. And because animals haven’t quite mastered the human language, someone must speak on their behalf. Does that mean you have to agree with every cause taken up by PETA, The Humane Society of the United States, the ASPCA, the World Wildlife Fund, the International Fund for Animal Welfare and the many other international, national, state and local animal rights organizations? Of course not. But, you should at least understand the underlying tone of the message. And that is simply that we are not the only living, breathing creatures on this planet. We need to do a better job of sharing this world with these other souls. And we also need to do a better job in general, finding more compassion and kindness, care, and respect; not just toward the animals, but also to our fellow man. And perhaps some of us need to upgrade our moral compass entirely; because the magnet is broken, the needle is spinning out of control and it definitely no longer points true north. If I were a legislator, I would be embarrassed. I would be embarrassed to be one of the 565 members of the United States Congress and to know that 41 other countries have taken the lead on this issue; yet we have failed to pass any meaningful legislation of substance on this issue. And with all due respect to the other 41 countries, most would agree that the United States is economically leaps and bounds ahead of many of these other nations. However, the failure to act on common sense legislation certainly raises the question as to whether or not we are morally inferior. Actually, this doesn’t raise the question. Apparently, we are. And for a moment, forget about the standard defensive positions of (1) jobs would be lost and (2) this is another example of an over-arching government meddling in the affairs of private citizens. Look at this this way. According to the ASPCA, approximately 37% to 47% of U.S. families own at least one dog and 30% to 37% own at least one cat. 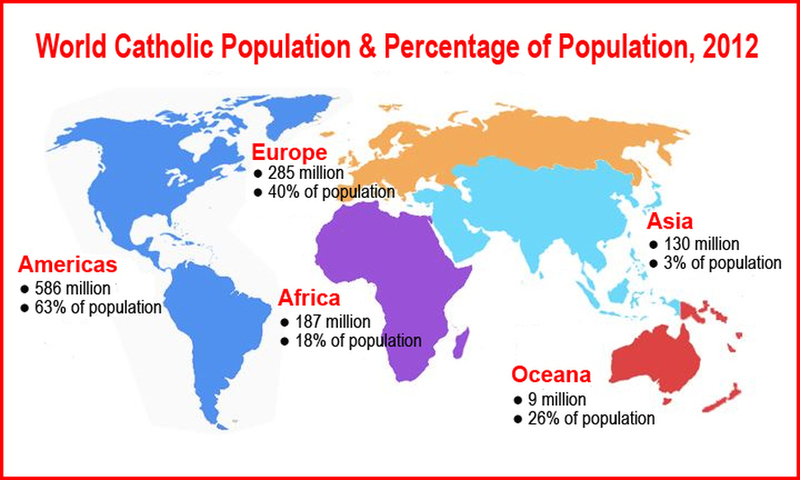 No matter where the percentages fall, a significant portion of the population owns one or the other. And if not a dog or a cat, perhaps a bird, a hamster, a rabbit or another animal. So, would you want your dog or cat housed in a cage similar to this below for 24 hours a day, seven days a week…barely enough room to even turn around; with the only true escape being during actual performances and rehearsals? Is it easier to be devoid of emotion because these lions don’t have a name, or because they are not your loved pet? Because when I look in their eyes, I see a soulful spirit. I see a smart, intelligent animal. I also see sadness. And if they could talk, they would ask you for their freedom…something the majority of us probably take for granted. Would banning exotic animals from circus acts impact profits and impact jobs? Probably…if we just continue doing everything the way it’s always been done. So, can a circus survive and thrive without animal acts? That question can be answered rather easily… Cirque du Soleil. Guy Laliberte, founder of Cirque du Soleil, had projected record profits of $250 million on revenue of $1 billion in 2011. And a BBC.com article published in December 2013 discussed how this company had been a consistent generator of $1 billion+ in revenue per year. Cirque du Soleil also employs 5,000 humans (no animals), has been seen by more than 150 million spectators and in more than 300 cities around the world. I don’t know what must be said or proven to convince Congress that this bill – which I presume will be introduced again in the current legislative session; and the more substantial and impactful Big Cat and Public Safety Act are worthy of law. These bills are ethically and morally correct. They are justified and warranted. And yes, this will require certain businesses to reinvent themselves; and it is possible that some might not survive this change at all. However, our decisions need to begin reflecting a better balance of profitability, creativity, compassion and ethics. Decisions can no longer be based solely on the desires of the few, and need to begin consciously considering the impact the decisions have on our world and environment today, as well as tomorrow. Tiger cub ”Obie” – 2015 mascot for the Massillon High School football team. 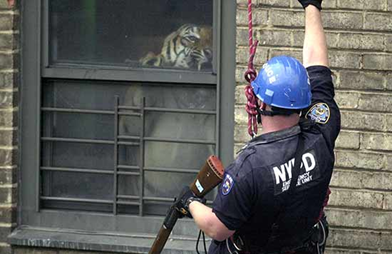 SO WHAT EXACTLY IS THE BIG CAT PUBLIC SAFETY PROTECTION ACT ? • It would end the private possession and breeding of lions, tigers, leopards, snow leopards, clouded leopards, cheetahs, jaguars, and cougars, as well as any hybrid of these species. 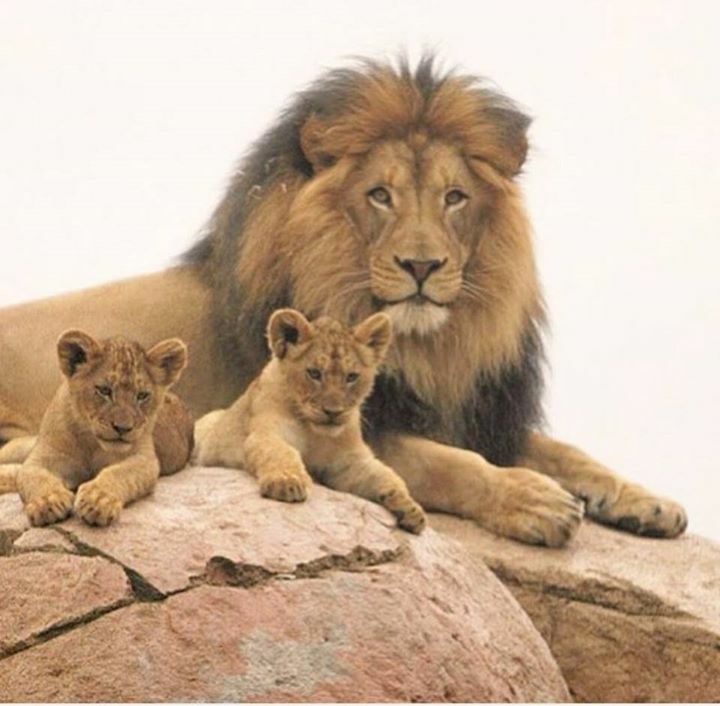 • It would include a grandfather provision for current big cat owners to continue keeping these animals as long as they are registered with the U.S. Department of Agriculture, but they could not breed and the exemption would only apply to big cats they currently own. • Exemptions would be granted to all Zoos accredited by the Association of Zoos and Aquariums (AZA), certified related facilities that coordinate with the AZA Species Survival Plan for breeding of species listed as threatened or endangered, wildlife sanctuaries that do not breed or allow public handling of animals, wildlife rehabilitators, state colleges and universities, and select traveling circuses in compliance with the Animal Welfare Act. And in many cases, that realization is made long before the cat even becomes fully grown. 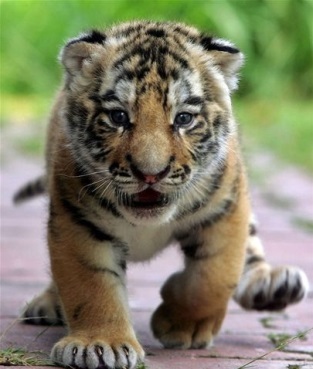 Take for example the 3-month old Bengal-Siberian Tiger cub recently found wandering the streets of Los Angeles. He had been declawed and had a hernia in his abdomen. Do not be fooled by groups such as the Zoological Wildlife Foundation, a group that touts itself as a conservation group, but provides wild animals for events and gives educational tours at its facility in Miami. They attempt to argue that the bill would prove disastrous for conservation efforts because it would limit the breeding and sales of the big cats. The Zoological Wildlife Foundation argues that those facilities that keep, rent out and host events featuring wild animals can be big business; with those dollars going to conservation efforts and charities worldwide. Well, of course. Anyone with a profitable business could contribute these dollars to conservation efforts or to any charities they chose. Trophy hunters could just donate $50,000 to a charity or conservation cause of their choice, rather than spend it on a license necessary to kill a trophy lion. I could donate my discretionary income to a charity or I could use this to buy myself a brand new car. A poacher could decide to stop poaching. The point is just because they could invest these dollars on conservation causes certainly does not mean they will. And after all, the road to hell is paved with good intentions. And they further argue against this legislation because simply, it would put them and many others that depend upon the exploitation of the big cats out of business. 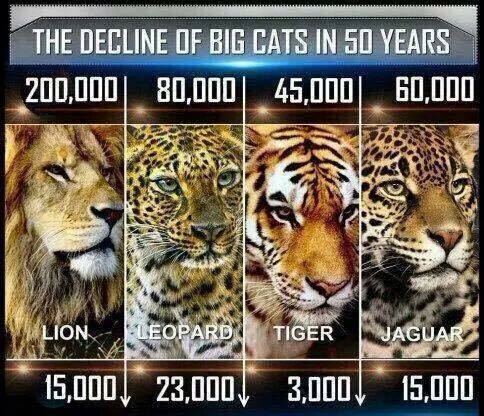 And the exploitation and exhibiting of big cats does absolutely nothing for conservation. Undercover operations by the U.S. Fish & Wildlife Service over the past decade have demonstrated that there is an illegal trade in big cat parts, including skin and bones. The more these parts are supplied from the captive big cat population, the more the market for these parts grows, and the more demand grows for the real or premium product (i.e. parts from big cats poached from the wild). And of the estimated 5,000 captive tigers in the United States, only about 250 of these are considered pure bred subspecies and these are all housed in AZA accredited zoos. The remainder is considered generic (i.e. 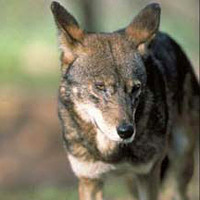 cross bred between two or more subspecies). So, they have no conservation benefits whatsoever. In my research, I read an email published through opencongress.org and was compelled to include certain sections of this letter for response. I do this because there are probably other critics of this legislation that have similar opinions which quite frankly, are based upon misguided beliefs and incorrect analyses. Understanding the intent of this legislation is important. Therefore, I have provided this email below, with an applicable response to each section. Response: First of all, I do not like and have never cared for the word “extremist”…particularly when it is used to make a blanket generalization across a wide swath of people. Dictionary.com defines an extremist as someone who supports or advocates extreme doctrines or practices, and the British version of Dictionary.com defines an extremist as a person who favors or resorts to immoderate, uncompromising, or fanatical methods or behavior. In all walks of life, there will always be those people who meet this definition of extremist. 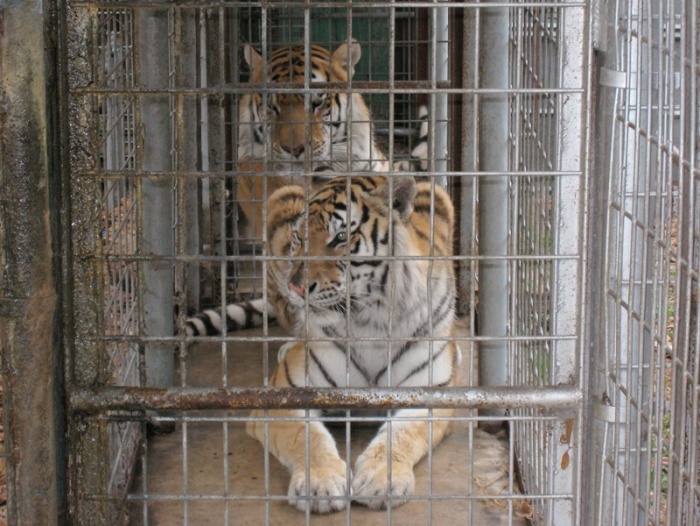 However, to suggest that legislation designed to protect exotic cats from living in deplorable, abusive, and horrendous living conditions, to protect the general public that is at risk if these animals were to escape, and to take steps to crack down on the black market of illegal trade of these exotic animals is not exactly what I would view as that promoted by extremists. And these animals do belong in the wild. Yes, of course. Why would anyone think otherwise about lions, tigers, cheetahs, leopards, elephants, wolves, polar bears, rhinos, hippos, etc.? They definitely belong in the wild. Finally, why do these animals need to be made available for photography, movies, circuses, television, stage shows and private possession? Many of these groups are the cause and the exact reason this legislation has been introduced in the first place. All wild and exotic animals can be filmed freely in their natural habitats in the wild. They can be seen via National Geographic and other nature specials. Type African Lion into YouTube and you get 326,000 videos. At an average of 5 minutes per video, that is enough to watch 3 years of non-stop videos just on African lions, without eating, sleeping or anything else. And in reality, we don’t need lions or tigers in movies…there are plenty of movies with story lines that have nothing to do with the big cats, and when was the last time you watched a movie that involved a lion or a tiger? And the Lion King doesn’t count because that was animated. Whether that decision was truly based upon some type of moral or ethical epiphany, or was influenced by those critical of the use of elephants in their acts really is not important. What is important is that they did this for the elephants. And if they can do this for the elephants, then they can do it for the big cats. And if countries like Austria, Belgium, Bosnia, Herzegovina, Bulgaria, Croatia, the Czech Republic, Cyprus, Denmark, Estonia, Finland, Greece, Hungary, Ireland, Malta, the Netherlands, Norway, Poland, Portugal , Slovenia, Spain, Sweden, the UK, much of Canada, Argentina, Bolivia, Brazil, Chile, Columbia, Costa Rica, Ecuador, El Salvador, Mexico, Panama, Paraguay, Peru, Australia , India, Israel, Singapore, and Taiwan can make the humane and right decision to ban most if not all exotic animals in circus acts, is it that difficult for the United States to step up and do the same? We are not stepping out on the limb and taking the lead on this. According to http://www.stopcircussuffering.com, there are 41 other countries that have already done this. We can do this, too. Email Comment: Federally licensed cat breeding facilities that would be affected by this act are mainly zoos and wildlife educators. Private breeders of wild felines also breed species not held by AZA members, such as Bengal and mixed tigers, Asian and African leopards. 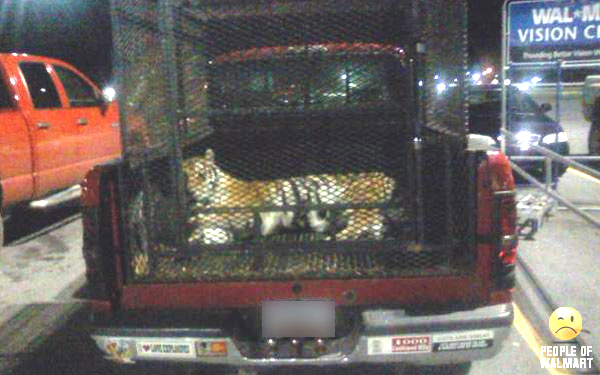 This act would drive these felines into extinction in America. Response: Correct, but these are not North American species in the first place. Leopards are primarily found in their native Africa; Tigers in India and Pakistan, and Lions from Africa and Asia. 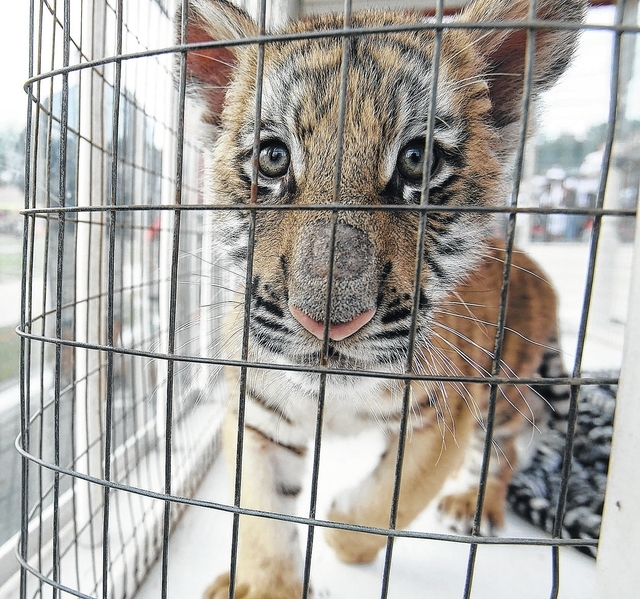 Additionally, the private breeders of the exotic animals are the biggest part of the problem. 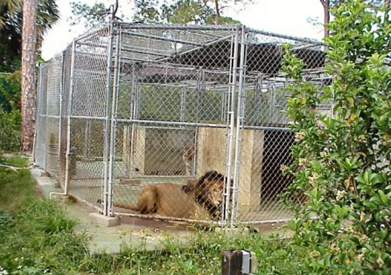 The recipients of these breeding programs are private owners who have already proven an inability to be responsible owners; roadside zoos that subject these animals to horrendous living conditions; captive farms that expose these animals to the cruel and controversial practice of canned trophy hunting, and sold on the black market for their pelts and bones. The point is that with exception of zoos, and even that is a debatable topic in the 21st century, these exotic animals never belonged in the United States. Zoos are a topic for another day, but I do agree that zoological parks can provide great educational opportunities. However, the history of the modern zoo dates back to 1793 with the opening of the Paris Zoo. So, for nearly 200 years, the zoo was essentially the only place one could visit to see live animals. With the advent of television which provides access to nature programs; the internet which provides an unlimited access to information on any animal (type in African Lion and you get 14.5 million hits); and YouTube, which provides us unlimited access to video footage of any animal you could possibly think about, some could argue that the zoo has essentially become unnecessary. Life evolves. We evolve. The horse and buggy used to be the primary mode of transportation in the United States. I would surmise that outside of Amish country, not a lot of people rely on the horse and buggy for transportation anymore. 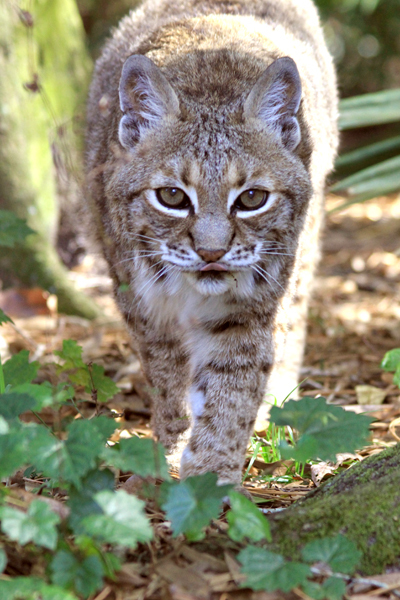 Email Comment: Non-AZA member zoos and breeding centers provide valuable wildlife viewing opportunities in communities all across America, especially in the more rural areas that do not meet the high traffic requirements of the AZA. 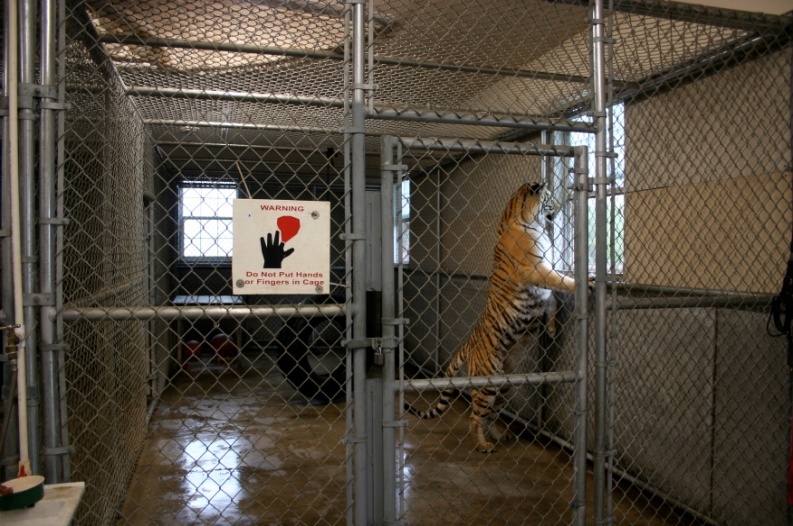 This bill would prevent these zoos from breeding or obtaining new big cats to exhibit to the public. Response: Breeding centers, whatever these are, sound similar to private breeders and that has already been addressed. As far as the accreditation requirements, there are currently 218 zoos and aquariums nationally that have taken the necessary steps to meet the AZA requirements. The reality is probably true that some of the rural zoos may not generate enough foot traffic to meet the AZA’s financial standards. However, if the facility cannot meet the financial demands, then it is almost certain that the veterinary program, conservation and research, education programs, safety policies, security physical facilities, guest services and staff quality are also going to suffer as well …which of course, will also impact the quality of life of the animals. So will this impact some of these zoos? Unfortunately yes. However, these zoos have the responsibility of ensuring the highest quality standards of life for these animals, and we should also demand this. Secondly, listen to a radio interview with Howard Baskin , CFO of Big Cat Rescue; or research this issue so you can better understand the plight of these big cats. 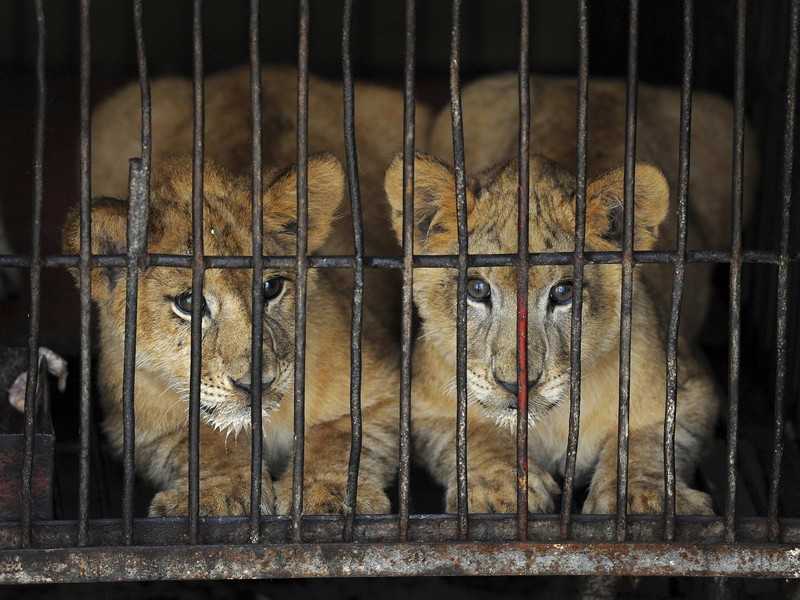 Not only those in captivity, but of the lions that roam the African and Asian plains. Learn more about Cecil. Learn more about the canned hunting of wild animals. Learn of the plight of the tiger and the leopard. Learn about the crisis faced by the elephants and rhinos. Knowledge is power and the more you know, the better you can communicate the issues and make positive change. Reading about the current food shortage crisis in Yemen (The UN reports that 1 in 5 are food insecure and in urgent need of external assistance. ), the killing and / or maiming of eight children every day, and the death of over 400 children since eruption of the recent violence in that war torn country, I pondered the how’s and why’s of tragic events; and why we as humans are driven to action by certain tragedies, yet are accepting of other tragic events as “that’s just the way it is” and go about our lives? In the broader picture, as I sip my morning coffee and my evening wine (clearly, this article was not pieced together in a single morning), I was thinking about this story and comparing it to the tragic and senseless killing of Cecil the Lion. Cecil’s story became national and world news, went viral over social media, and continues to instill demand for change. Yet, there is barely a mention of Yemen’s plight in the newspaper, and I would venture to guess that the majority of the world has no idea this is even going on; and maybe don’t really care. • Every 6 minutes, an American dies in a hospital, either from a medical error or lethal infection. • Every 10 minutes, an American is killed in an accident at home. • Every 11 minutes, an American is killed in a traffic accident. • Every 13 minutes, an American dies due to accidental poisoning. • Every 29 minutes, an American is murdered. • Every day, 28 Americans are killed by a drunk driver. • And every day, a total of 2,600 Americans die from all combined events – natural and unexpected. So, 2,600 deaths occurring every single day, seven days a week, 52 weeks a year; and no time off for holidays and vacation. 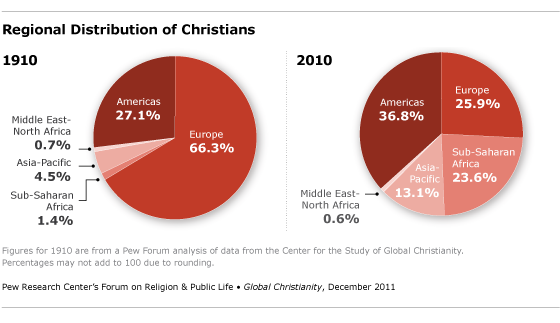 And, of course, these are just U.S. statistics. Expand these statistics worldwide and add starvation, terrorism, and deaths attributable to the escalation of war. Then add discriminatory practices based upon skin color, gender, and sexual orientation. And don’t forget human trafficking, drug addiction and disease. People, we have a lot of problems! And each of these problems demands attention and warrants action. Yet, how many of us contemplate these tragic events and how many of us truly take action? These events all anger us, but my guess is very few of us truly demand change. The question is – Why don’t we? Or shall I ask, why do we select certain causes to champion and others we just accept as fact? It is a difficult question to answer and I am no different from anyone else. I too have certain causes that are dear to my heart, and others, not so much. But does that make me a bad person because I choose some causes over others? Most would say I am not. 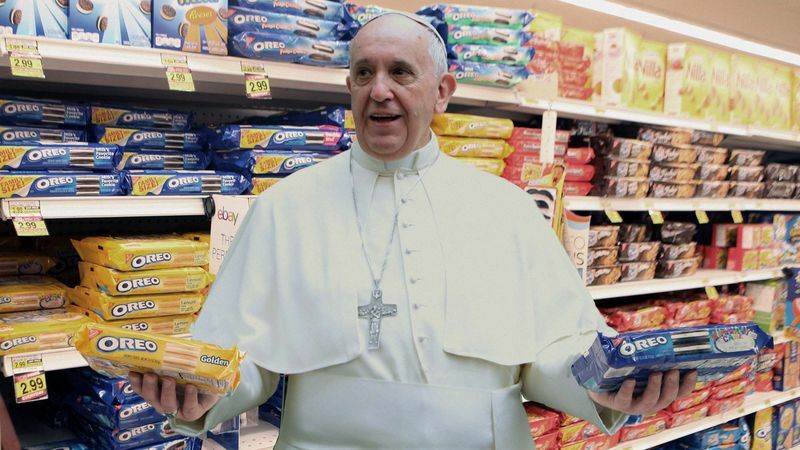 What if someone provides financial support to aid workers in third world countries, while California wildfires destroy hundreds of homes; and displace hundreds of families who escape with nothing more than the clothes on their backs? Should we be helping people in our country of origin before we help someone in another country? This is not a judgment question, because both need help and both deserve help. I raise these points because many people have been impacted deeply by the death of Cecil the Lion and have demanded justice and action. However, many of those impacted haven’t simply read the story and stewed in silence. Hundreds of thousands (or perhaps millions by now) have signed petitions, have emailed and written their governmental representatives, protested, boycotted and have taken other action steps to demand justice and to demand change. • If you believe there are more important issues of which I (or anyone) should be focusing their attention, what person, agency or organization do we task with that responsibility of prioritizing the cause du jour of everyone’s singular focus? • If you are tasked with the responsibility of determining the issue or issues that I should focus my energy, I am assuming that I also have the opportunity to determine where you focus your energies? After all, who is to say you are right and I am wrong? • What if a similar or worse tragedy occurs and warrants a new prioritization of energy and effort on the latest cause? Do I have to redirect all of my efforts to this newest tragedy, or am I allowed to balance my time between the two? • Are you investing your time and energy for positive change, or are you just criticizing my passions? Because if you are simply exerting negativity and not doing anything positive toward change in your life or in the world, you really don’t have any room to criticize my choices. • What are the circumstances in which I might be allowed to fight for a cause that you would normally not approve as a priority? For example, if I am dyslexic and understand all too well the daily challenges of living with dyslexia, am I allowed to focus my time and energy on bringing awareness and change to this disability? • If I know someone that suffered sexual abuse as a child and know how that has affected that person their entire life, am I allowed to champion that cause? Needless to say, several of these questions are rhetorical or of a sarcastic nature. But the point is, there is not and never will be an official organization that decides where we focus our philanthropic energies – at least I hope not, and certainly not in those countries that celebrate democracy and freedom. And at the end of the day, if I am spreading good energy by doing something positive that benefits the world – isn’t that what is most important? Certainly, there are many that believe man has dominion over the earth; and therefore the prioritization of our wants and needs as humans always trumps that of the animals, of nature, and of the environment. And therein lies the criticism of those supporting environmental or animal rights causes. But should the wants and needs of the human race be of a higher priority than that of the environment? And does having the dominion over the planet equate to giving us unilateral authority to run roughshod and having an attitude of “the hell with the environment”, as long as it benefits mankind? But, dominion can better be explained within the greater context of the Bible, looking at how God expected people to act when he entrusted them with a responsibility and leadership over others. So, a word that more poignantly and accurately describes the expectation and responsibility we have is that of steward. We should be viewed as stewards of the earth, and as such, are expected to aptly manage our resources. We should be of the mindset of conservation. And we should approach life with a belief that when we breathe our last breathe, we can honestly say that we left the world in a better place. And if I devote my time, effort and money toward a cause that saves or protects a species, doesn’t that better the world? 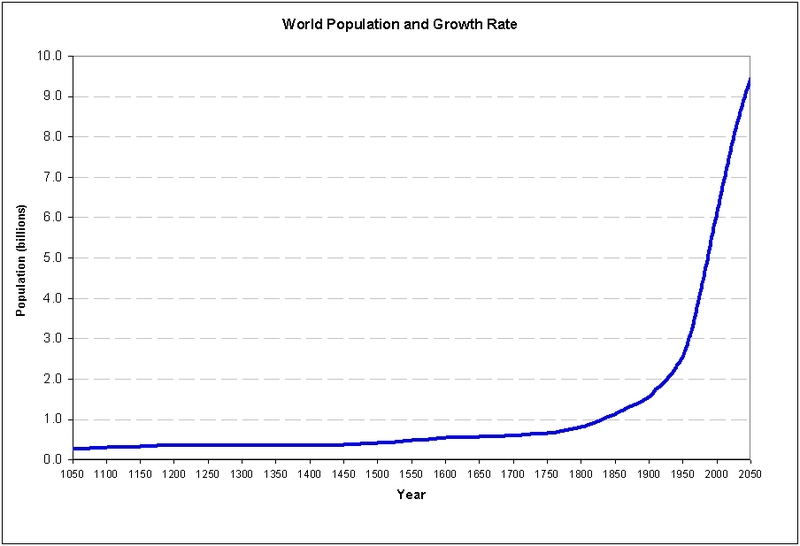 And in bettering the world, doesn’t this benefit future generations? I don’t believe anyone would disagree with that. And in conclusion, I would ask that next time you (or I) read or hear of someone giving their time, energy or money to a charity or cause we would not support, think about this commentary. 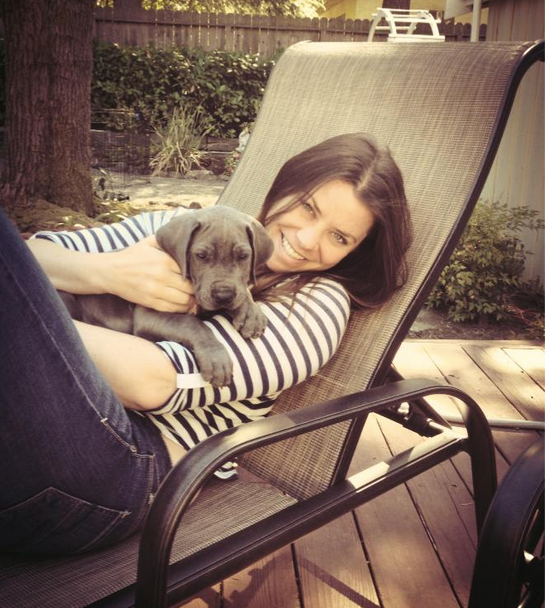 And remember….”Spread Good Energy and Pay It Forward.” These words were part of Brittany Maynard’s final Facebook post, before the 29 year old woman passed away with inoperable brain cancer. Those were her dying words, but they are words the rest of us should live by, as long as we have a breath. As the story of Cecil the Lion continues to defy the desires of those wishing his story would just disappear; and continues to provide the motivations for those that desire his story to ride the wave of change, this story also seems to have evolved into the modern day biblical version of David vs. Goliath. Despite this anger and demand for “Justice for Cecil”, most people probably assumed that David had no chance to beat Goliath and ultimately, the world would continue to experience the inevitable decline and eventual mass extinction of the world’s animal population. I recently read a quote from Edmund Burke, an 18th century philosopher who stated that “No one made a greater mistake than he who did nothing because he could only do a little.” And this connected deeply with me. Cecil could have become the story that incensed and angered many individuals, but those individuals becoming that “greater mistake” in Burke’s quote. Yet, this is not what has happened. Many appear to be taking the attitude that if they do “a little” and others do “a little”, all that “little” becomes magnified and multiplied to the point that it builds into something that actually changes the world. It is a good question, and some have suggested it is as simple as the fact the he had a human name. And perhaps they are correct to some extent; and certainly, this has probably helped the story’s staying power. But perhaps it is better explained as a perfect storm of several factors: a human name, combined with the ongoing battle of one-percenters versus the rest of the world that has been reverberating the past several years. It is the haves versus the have-nots, the ethical versus the ethically bankrupt, the good versus evil, all encapsulated in a social media movement that did not exist five years ago. If social media existed 40 years ago, we would not even be talking about Cecil today; as this movement would have begun long before the population had plummeted to an estimated 20,000 lions. However, because social media does exist today and has a greater influence over the world than it ever did, we are talking about Cecil and we are talking about population losses of the lion, and the tiger, and the cheetah, and the leopard, and the elephant, and the rhino and the wolf, and the polar bear, and just about every other non-human animal species. 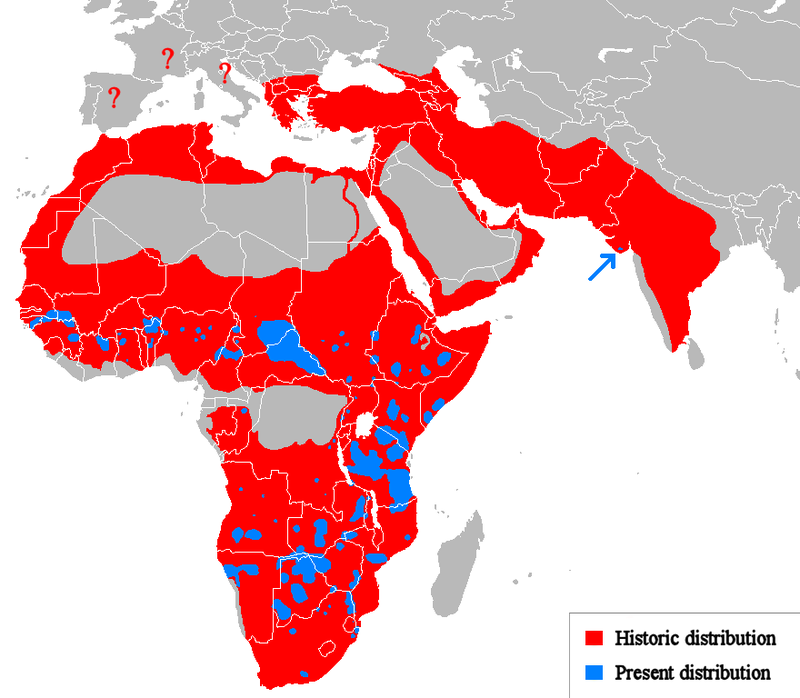 Historic and Present distribution of the lion population. Many articles and social media posts, blogs and websites continue to beat the drum of anger and rage – and I am not condemning those articles – because those are the exact articles that are driving this change. And there needs to be a constant reminder of the evil that exists in our society, and it is only in bringing this into the bright spotlight do we enact change. However, I believe that occasionally, we need to focus on positive results stemming from these efforts; as this provides a reminder to those pursuing change that they are making a difference. And perhaps more importantly, it reminds those on the sideline of inaction that just a little effort drives the winds of change. Almost immediately, the outrage that began on July 26th, the day the story appeared on social media, national and international news, the government of Zimbabwe moved to ban trophy hunting of the “Big 5” (lions, leopards, elephants, rhinos and buffalo). The parks and wildlife authority Zimparks also suspended hunting with bows and arrows, with permission from the authority’s head, and also banned the hunting of ‘collared iconic animals’. And while the Zimbabwean government did ultimately lift the hunting moratorium ten days later, this was ten days that an innocent animal did not die as a result of this outdated sport. Additionally, the ban remains in place on farmland where Cecil died, as well as several other farms were officials allege animals were killed illegally; and the restrictions on bow hunting and the hunting of collared animals are still in effect. Of course, the Zimbabwe government does receive significant annual revenues from the hunting industry, which should not be confused with revenues that trickle down to the local communities and local conservation, which has been estimated to be at less than 3%. That said, no one truly expected that Zimbabwe would turn off that revenue spigot without the development and expansion of alternative revenue such as the further expansion of ecotourism. This will take some time, but this should be perceived as a positive development and it is likely that Zimbabwe will be carefully studying neighboring countries like Botswana and Zambia that have successfully navigated and migrated away from hunting as a revenue source. On August 3rd, Delta Airlines and United Airlines announced they would no longer transport buffalo, elephant, leopard, lion or rhino trophies on any flights. American Airlines followed suit later that day and Delta also announced that it was going to “review acceptance policies of other hunting trophies” in consultation with government agencies and organizations “supporting legal shipments”. In addition, other airlines joining this ban after Cecil’s death include Air Canada, Air France, British Airways, Brussels Airlines, Air Emirates, Etihad Airways, Lufthansa, KLM, Iberia Airlines, IAG Cargo, Singapore Airlines, Qantas Airlines, Qutar Airways and Virgin Atlantic. In honor of Cecil the Lion, CRU and Panthera have announced the organization of a landmark summit for lion conservation at the Recanati-Kaplan Centre in Oxford in 2016 “ to grasp this new momentum in lion conservation, and inviting the foremost conservation experts from organizations throughout the lion conservation community to join us in a concerted effort to save the lion”. The Mexican government has banned the use of exotic animals in any circus performances, as many of these animals have lived in deplorable, inhumane and abusive conditions. The result of this legal action is of course, positive. But, it is also negative in the sense that many of these circuses have now abandoned these animals. Fortunately, they are finding a new home to live out the remainder of their lives. A total of 8 lions,2 lynxes, a puma, and coyote have been relocated to this accredited Wild Animal Sanctuary, a 720 acre preserve that is home to over 350 animals rescued from illegal or abusive situation, with an additional 9 more exotic animals scheduled to be airlifted in the near future. 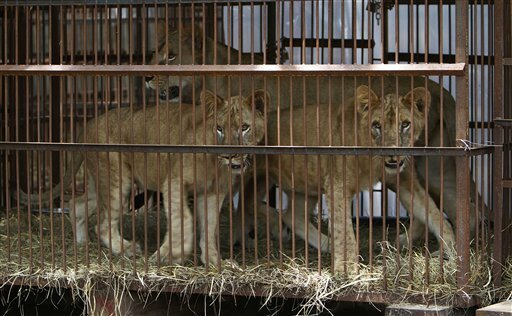 In addition to the Mexican airlift above, a total of 33 lions – many living in the similar deplorable conditions, and most subject to years of abuse, are being relocated from Peru and Columbia to the Emoya Big Cat Sanctuary in Limpopo, South Africa and will live out their remaining years in this 12,000 acre preserve. A federal judge recently ruled that any dog or cat sold by an Arizona pet store must either come from an animal shelter or non-profit organization and is one of 60 cities through the United States that now requires this. In his latest book, The Butterfly Effect, How Your Life Matters, Andy Andrews discusses how in 1963, Edward Lorenz made a presentation to the New York Academy of Sciences and proposed a theory he purported as The Butterfly Effect. He stated that a butterfly could flap its wings and set air molecules in motion that, in turn, would move other air molecules, which would move other air molecules, and eventually influencing weather patterns on the other side of the planet. He was laughed out of the room. But in the mid 1990’s, physics professors from several universities tested this theory and proved that the butterfly theory actually worked. The point is that everyone on this planet makes a difference, and everything you do (and don’t do) makes a difference; and this statement has both positive and negative implications. Someone taking steps toward a certain goal, no matter how small those steps are, is making a positive impact toward that goal. Failure to take steps can have the same impact in the opposite direction. Inertia begets inertia, and the momentum created soon builds to the point that mountains can be moved and worlds can be changed. 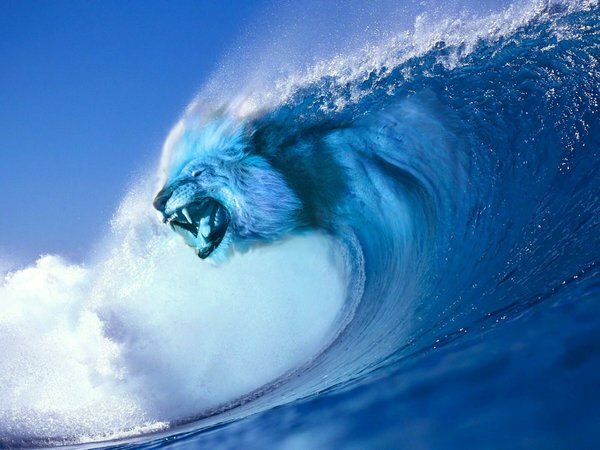 Let’s ride this Wave of Change and make a difference.